Welcome to my blog. Today represents the 4th day of my A-Z Bible Art Challenge with the letter D.
Deborah is one of Israel’s judges and the only woman appointed to do so. She is the wife of Lappidoth and has lead Israel to many victories, including co-leading with Barak to fight the army from Canaan. 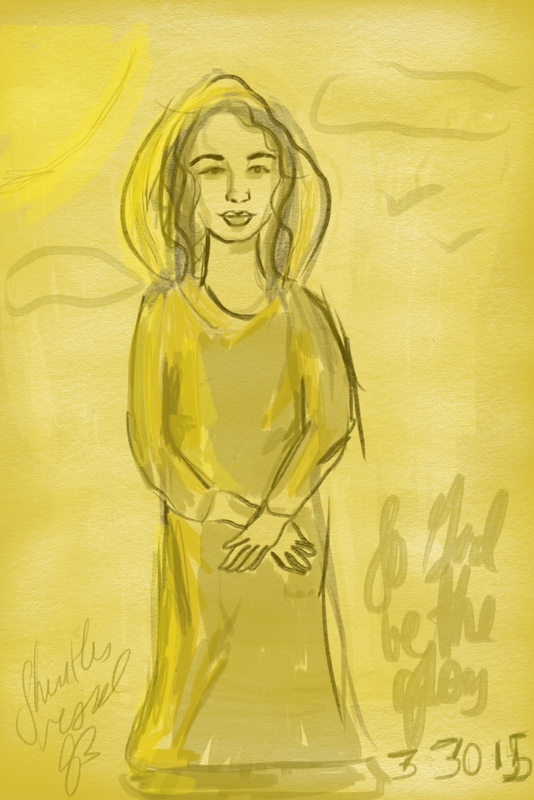 Using my Pro-Create app on my iPad, I am able to create portraits and bring these Biblical characters to life. Thank you for your support and look forward to seeing you on the 6 of April with the next Biblical character that begins with the letter E.
Nice! I’ll have to go back and read about her. I really do like this idea for the A to Z Challenge! I like the art, synopsis, and Biblical references. Thanks for sharing your talent. Oops, forgot to say my blog is (for now) #1266, Thankful Me. Yea! Works perfectly now! Wouldn’t want anyone to miss out on your work and information!